with Burt's Bees Micellar Range! Burt's Bees Gift Sets combine all your favourite products. from Burt and his buzzy friends in beautifully presented packs as a treat for someone who deserves it, including if that someone is you! 100% Natural Ingredients. These are the original reason Burt collected beeswax, and now they are a worldwide favourite. Formulated with essential fatty acids and vitamins to keep lips looking kissably healthy and hydrated. From tinted lip balms to long-lasting lipstick, Burt's Bees Lip Colours are 100% natural and have a variety of shades to suit every occasion! and Roxanne Quimby an aspiring beekeeper and journalist who sold honey at markets. Together they started to develop beautiful candles made from excess beeswax, this slowly turned into beauty products; namely lip balm to extend the business. And before you could say 'buzzzzz' distribution spread from New York to Canada, Asia, the UK and into Europe. 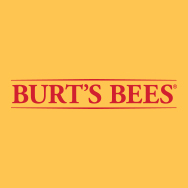 The rest, as they say, is history and Burt's Bees now has over 150 products within their range, from face care to make-up products all made from natural ingredients with no unnecessary chemicals. Burt's Bees Body & Bath products leave your skin feeling nourished, soft and smooth. thanks to the hydrating natural ingredients blended together. Whether you need to relax and soothe or revitalise and refresh there is a product here for you. We love the Burt's Bees Therapeutic Bath Crystals that just seem to revitalise the body and mind whilst you soak in a warm tub, or if showering is more your bag then try a little Sugar Scrub for zingy skin! Burt's Bees Baby & Mama Bee products are designed to take you through pregnancy. let the fabulous products keep you and your baby moisturised, relaxed and irritation free. Burt's Bees Haircare is a range full of natural shampoos, natural conditioners. Your hair will be naturally clean, luxuriously soft, shiny and strong. 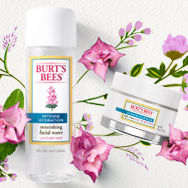 View all Burt's Bees skin care products in one place. Not sure what you are looking for? Simply select your skin requirement and product type. The partnership of Roxanne Quimby and Burt Shavitz began in 1984. Roxanne and artists and Burt a beekeeper were the perfect partners, starting with the unused wax from Burt’s beehive, Roxanne started to make candles. After selling their candles at a craft fair they soon moved on to a larger market shipping to NYC. 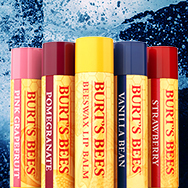 Burt’s Bees lip balm was created in 1991 and became their bestseller. In 1998 the Lemon Butter Cuticle Cream was brought out and started the expansion into personal care products. 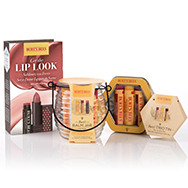 After going global in 1999, Burt’s Bees came out with a larger range of lip products in 2003, with lip shimmer and colour whilst containing the same nourishing lip care that the lip balm contains. Since then Burt’s Bees has continued to grow as a company and has released a number of successful products. Burt’s Bees now caters for a variety of different beauty needs – skincare, body care, lip care and hair care, there are even products to aid women through pregnancy! At Burt's Bees, they don't waste their time—or yours—pretending to be something they're not. They'd rather put their energy into making the best natural personal care products out there, to help you maximise your wellbeing. Burt's Bees take pride in the fact that over half of their 150+ products are 100% natural, but remain committed to making every single one of their products the same and they are currently aggressively pursuing this goal through reformulations and testing. 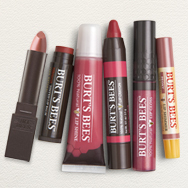 Burt’s Bees Lipstick – a lightweight lipstick with a creamy consistency which will leave your lips feeling soft for up to 8 hours and looking luscious. This silky-smooth lipstick is full coverage and is enriched with moringa and raspberry seed oils, and is 100% natural. Available in 18 shades, there is a lipstick for everyone!